I began this post with the above photo for my family (and friends) to see upon opening their notification of a new post from me. 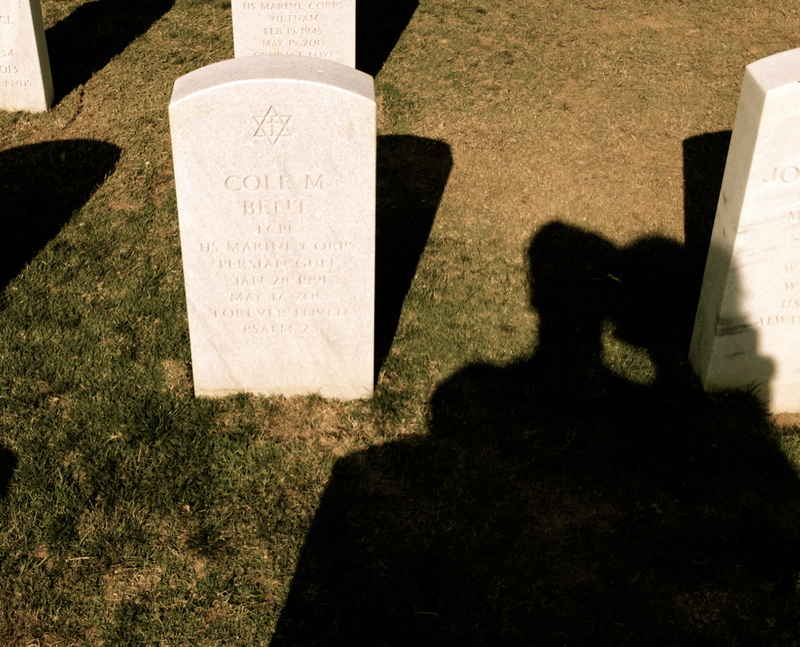 For though the photo has captured the shadows of my husband and I, viewing the headstone of our son for the first time (yesterday), I know that we are surrounded by our family–in spirit–though the miles keep them from being present in the shot. It has been a few or more weeks since I have had the ability to write. I had jumped into my new full time job hot on the heels of jet-lag and more relevantly, in the throngs of sorrowful mourning. And as it goes, my particular job has not been (so far) a slow paced environment. There is so much about this road I am walking that is unknown to me. While I do speculate my potential reactions, thoughts, and future choices, I speculate through the eyes of the ignorant and then quickly step into the shoes of the knowing. Forgive me, I am speaking in riddles. The unknown= “Perhaps traveling will be good for me. The ‘getting away’ from it all will ease my sorrow.” The known= Nope. Traveling, right now, is not good for me. My soul ached for home. The unknown= “Working will be a good distraction from mourning.” The known= The two are not connected. I work and feel sorrow, simultaneously. Sometimes I cry at work, sometimes I don’t. While working I am distracted, but the second I turn from my duties, I am met with the reality of my loss. The speculation and ignorance come from not having walked, previously, this road. This road, of course being, living life with the loss of a child. And though I do borrow from those who have left their footprints on my path, as time has put them ahead of my stride, I still don’t recognize myself within the new terrain. My thoughts, my reactions, my opinions. Now I’ve had friends and family who read this blog and get quite concerned for me as a result. I apologize to them for that. If one can be in a place of ‘healthy mourning’ consider me there. I eat properly, I sleep (though still with interruptions from nightmares from time to time), I laugh, I joke, I am not drinking alcohol, not using drugs, I’m caring for my daughter and husband (attending to their needs and wants and sharing in moments of enjoyment with them), I cook, I clean, I love, and I live. And through it all, I ache for the suffering my son endured these last few years. I ache for myself–the mother facing her son’s legacy as carved out on a stone tablet. I ache for my husband–the father who’s natural positivity cannot touch this sorrow filled reality. I ache for my daughter–the seventeen year old who has experienced too much of the ‘hurt’ in life at too early an age. And, I ache for those who continue to ache with us. Now I truly have more I’d like to say, but I am going to keep this particular posting on the shorter side (in Rivka terms). I want those of you who need to spend time viewing the photo, to not be distracted by my voice. The voice that comes through in my writing. I invite you to view the picture with your own thoughts and reflections. And I will return soon, Lord willing. Not a lot one can say – we all love you and send you and your family prayers and warm thoughts. Cole will forever be in your heart and sole.